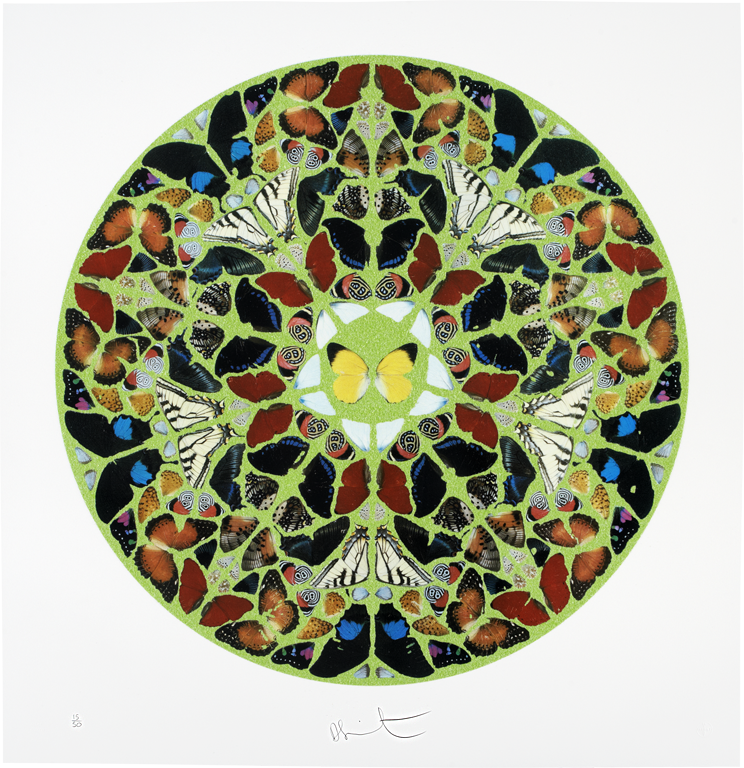 Hirst’s Psalm prints draw directly from the butterfly collages of his larger gloss paintings and are the most recent of his silkscreen series. 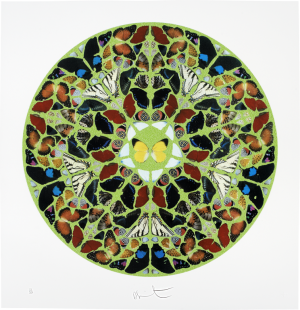 With the butterfly wings separated and arranged in a mandala-like swarm, they are held as if ready for dissection. Calling to mind the exquisite stained glass of Europe’s great cathedrals, the wings of these creatures unite the celestial and the earthly to present us with the possibility of beauty in death.